In Miami, no one gave much of a chance to young boxer Cassius Marcellus Clay Jr. against the champ, Sonny Liston. It wouldn’t be the last time Clay would shock the world. Before Liston’s championship fight when he won the title against Floyd Patterson, President Kennedy took the time to call Patterson and express that it would not be in “the negroes best interest” if Liston won. As one writer noted dryly, “The fight definitely was not in Patterson’s best interest.” Liston destroyed Patterso, setting the stage for his fight against Clay. At this time, he was known briefly as Cassius X, but Elijah Muhammad gave Clay the name Muhammad Ali—a tremendous honor and a way to ensure that Ali would side with Elijah Muhammad in his split with Malcolm X. But the internal politics of the Nation were not what the powers that be and the media noticed. To them, the Islamic name change—something that had never occurred before in sports—was a sharp slap in the face. 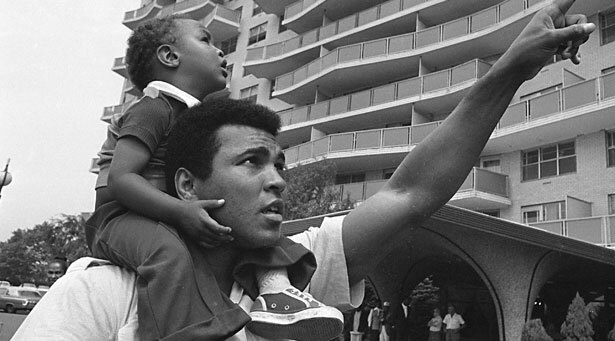 Almost overnight, whether an individual called the champ Ali or Clay indicated where they stood on civil rights, Black Power and eventually the war in Vietnam. The New York Times insisted on calling him Clay as an editorial policy for years thereafter. Yes, it is certainly true that Cassius Clay was born on January 17, 1942, but Muhammad Ali, in every way, was born fifty years ago in Miami.